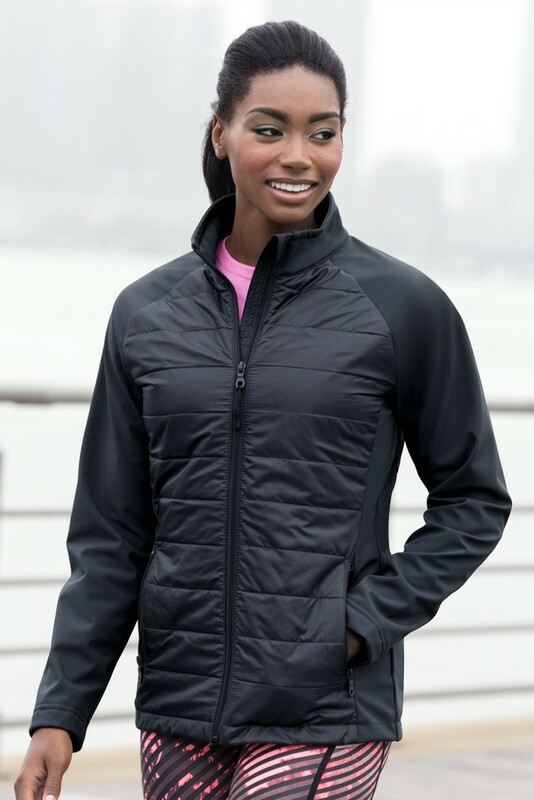 The custom printed Women’s Hybrid Jacket has a water-repellent finish that resists water penetration. 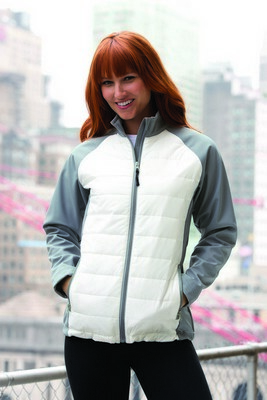 Keep your styling urban and maneuver the ever changing outdoors with the Women’s Hybrid Jacket. The jacket is lightweight yet highly protective. It is made from a combination of polyester and spandex material with Vantek fleece which makes it durable and resistant to shrinking. It can be stretched repeatedly without damage. It comes with a water-repellent finish that resists water penetration and is designed specifically to keep the wet weather at bay. 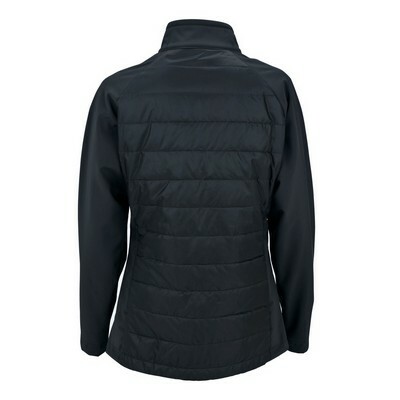 The stand-up collar with zip protects the neck from chilly winds. 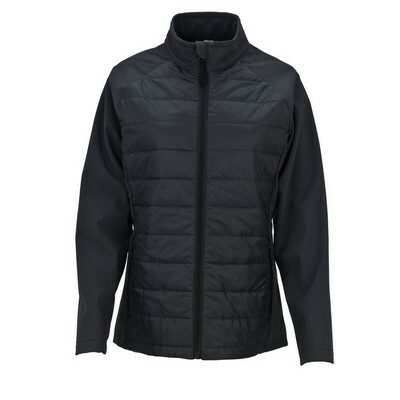 Designed with versatility in mind, this jacket is comfortable to wear and easy to care for. Promotion Pros is one of the best places to find custom embroidered apparel online, so stop your search today. Our embroidered and screen printed logos look fantastic and wear even better. Place an order today and discover for yourself the magic of your entire group wearing beautiful, quality promotional gear custom-made just for you!